Young Kristin Seaborg had the world at her fingertips: a loving family, happiness and security, early admission to medical school–until the frightening diagnosis of epilepsy threatened to destroy both her career path and her health. Living in constant fear that her seizures would intensify and prevent her from practicing medicine, Kristin kept her condition a closely guarded secret, leading a tenuous double life as patient and practitioner. 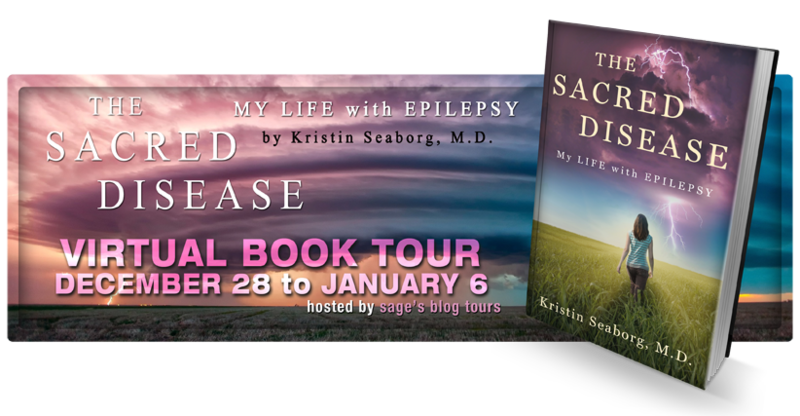 A memoir of discovery, acceptance, and hope, The Sacred Disease chronicles Kristin’s tenacious fight for a seizure-free life. 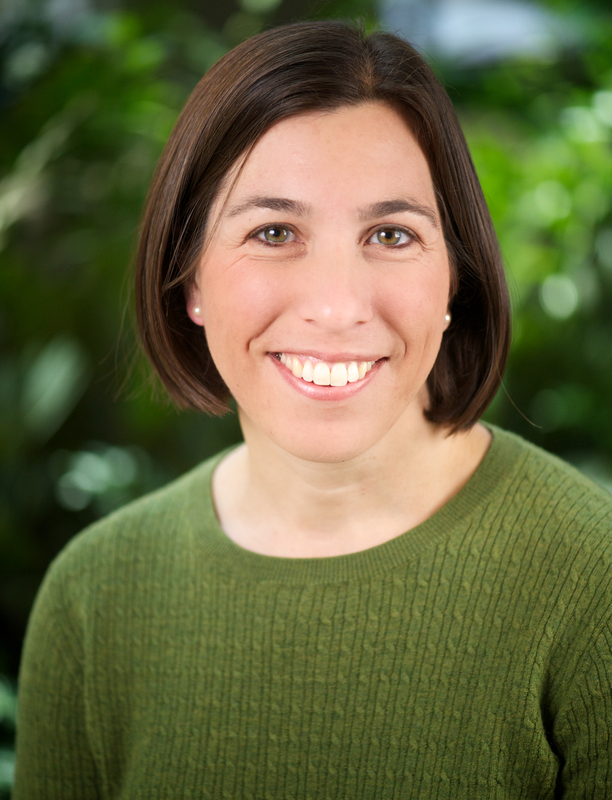 Remarkably, although Kristin’s knowledge and expertise continue to develop as a pediatrician and mother, her experiences as a vulnerable patient provide the most valuable lessons of all. As I was reading this book it brought back memories of a family friend who lived on the charity of his family and others because of the crippling effects of epilepsy. He lived in times when there was only one medication available and that caused his brain to be dull. Although he cycled around the city, he never knew when he would get a seizure. I recall his excited anticipation of the kite flying festival in India. However, almost every year, being excited and out in the sun flying kites would result in him having a seizure. As a child, I didn’t quite understand this. As an adult one felt sorry for him. Reading Kristin’s inspiring and informative story makes me think with great compassion about the millions like this gentleman who suffer the physical, emotional and psychological effects of ‘the sacred disease’ (so called because it was thought to be a punishment from the Gods). Kristin presents her story as a patient and her insights as a doctor in a way that kept me reading the book right through. 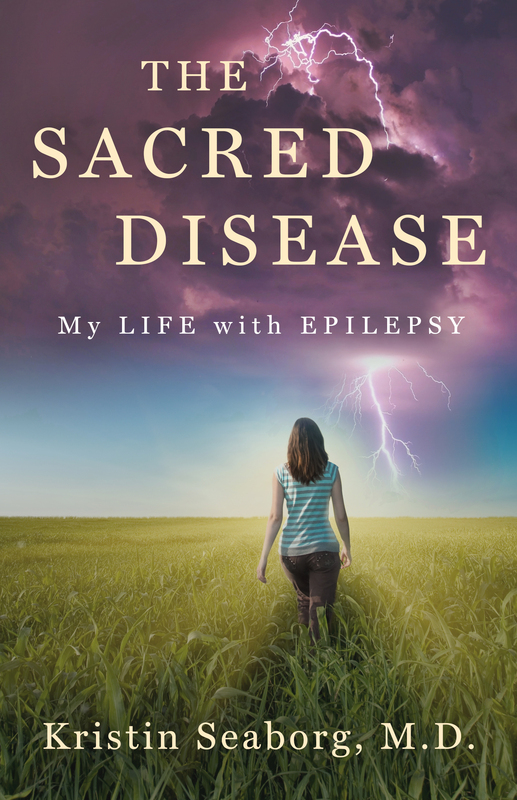 Her personal story of attempting to hide her illness and how she came to accept her illness, talk about it openly and deal with the effects make this book a must read for people who suffer epilepsy, their family and friends. The inclusion of several factual pieces covering the history, perceptions, diagnosis and treatment reveal how many misconceptions and misunderstandings there are about this illness. I would recommend this book to everyone who seeks to overcome their ignorance of an illness that effects 1 in 26 people, so that we can be more understanding and compassionate towards those who suffer from epilepsy. Kristin is a practicing pediatrician in Madison, Wisconsin, where she lives with her husband and three children. She contributes magazine articles about pediatrics and parenting, and writes a blog about epilepsy. An advocate for epilepsy awareness, Kristin hopes that writing about her disease will help decrease the stigma associated with seizures. You can find Kristin at www.kristinseaborg.com, on Facebook and on Twitter. FTC Disclaimer: I received a copy of The Sacred Life from the publisher via Sage’s Blog Tours in exchange for a fair and honest review. Opinions expressed are mine. Sounds like an interesting read. As a parent of a child with Type 1 diabetes, stories about chronic disease are of particular interest to me. Added to my Goodreads list. My father had epilepsy (resulting from a head injury he suffered in 1945 – I think he suffered as much from the drugs to control it as he did from the condition). This is so feared – and misunderstood. And yes, it affects the family. It certainly affected me, growing up. Thank you for sharing, Alana. I do believe the drugs used to be so strong that they were debilitating too. I’m sure it must have been so confusing and scary for a child. I feel so blessed with my good health. This sounds like a really good read! Thank you for sharing. Oh yes, some of us are blessed and we mustn’t take it for granted! Thanks for stopping by, Darla. Glad to have read your review – would love to read it! I have a long personal association with the disease as I have seen a close family member suffer from it and can relate to many of the things, especially the physical, emotional and the psychological aspects impact upon the patient and the rest of the family. Thank you for sharing, Esha. I’m sure you will appreciate the book.